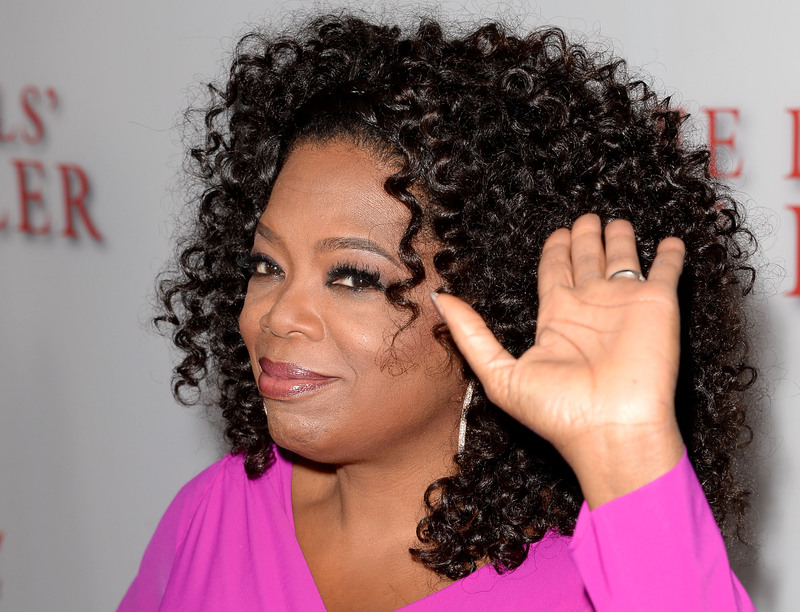 The fallout from Oprah Winfrey's run-in with a Swiss handbag store continues. After Winfrey claimed on Entertainment Tonight that a shop assistant in Switzerland had racially profiled her, insisting she couldn't afford a pricey handbag, Swiss media unveiled the store's identity — and made it the target of a media frenzy. "I'm really sorry that it got blown up," Winfrey told press Monday. I was in Zurich the other day... I didn't have my eyelashes on, but I was in full Oprah Winfrey gear. I had my little Donna Karan skirt and my little sandals. I go into a store and I say to the woman, 'Excuse me, may I see the bag right above your head?' and she says to me, 'No. It's too expensive... You will not be able to afford that. Oprah didn't name the store, but a local paper unveiled that it was called Trois Pommes. The sales assistant in question, who has worked there for five years, promptly fought back. “I would never say something like that to a customer. Really never," she told a Swiss paper. “I don't know why she is making these accusations. She is so powerful and I am just a shop girl. I don't know why someone as great as her must cannibalize me on TV." The anonymous assistant hadn't known who Winfrey was when she entered the store, but insists that she didn't racially profile the superstar. I think that incident in Switzerland was just an incident in Switzerland... I was just referencing it as an example of being in a place where people don't expect that you would be able to be there. I'm in a store, and the person doesn't obviously know that I carry the black card, and so they make an assessment based upon the way I look and who I am. I didn't have anything that said 'I have money.' I wasn't wearing a diamond stud. I didn't have a pocketbook. I didn't wear Louboutin shoes. I didn't have anything. You should be able to go in a store looking like whatever you look like and say, `I'd like to see this.' That didn't happen." Swiss officials have repeatedly and publicly apologized to Winfrey for her alleged treatment, though Winfrey says apologies from the entire country are kind of unnecessary. The refugee law, however, still stands.